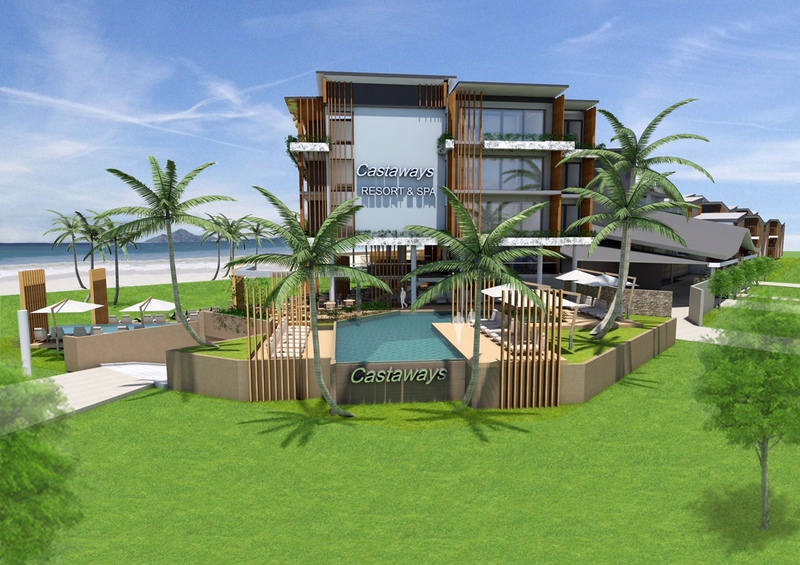 A $70 million rebuild is planned for Mission Beach’s Castaways Resort and Spa, with the construction phase expected to generate almost 400 jobs. The overhaul will lift the number of rooms from 48 to up to 226, in 126 units. Owners say ‘The New Castaways’ will include a regional conference facility, five pools (two existing and three additional), expanded multi-level dining and underground parking for 160 cars. Resort owner James Neville-Smith said the project would provide Mission Beach and the Cassowary Coast region with the economic stimulus that the region had long deserved. “Over the past 12 years we have steadfastly maintained our commitment to the Castaways business and the broader region. We have invested heavily in the existing asset, maintained a regional marketing presence far in excess of the scale of the business and maintained our long-held vision for the wider Mission Beach region,” he said. “This vision is based on an overarching desire to see a thriving tourism industry that ensures the character of Mission Beach and its beautiful natural assets are preserved. Castaways at Mission Beach has been operating for more than 30 years and underwent a $6 million upgrade under Neville Smith Group ownership in 2010. In 2015, the group purchased the adjacent property known as Mackays to bolster their room inventory. The hotel is expected to employ 120 fulltime and causal staff once the planned $70 million upgrade is complete. Mr Neville-Smith said construction could begin as early as mid-2019 and would take approximately two years.